Pugs are precious and mischievous! They have the most inquisitive faces. It’s like they’re always asking a question! The Pugs for sale in FL Petland locations are no exception! Our Pug puppies are adorable and people always gravitate towards them when they visit our store. People from all walks of life have fallen head over heels for Pug puppies. They really fit into any lifestyle, whether it’s a single person home or a large family with kids. They make the perfect addition to any household. Here’s a list of our frequently asked questions about Pugs for sale in FL. 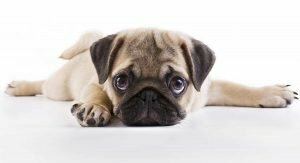 When you find Pugs for sale in FL at one of our Petland locations, you’ll fall in love because of their overall gentle and comical dispositions. They are a happy and healthy breed that’s understandably desired. Take a look at our available Pug puppies page and contact us on how you can own one of our Petland Pugs for sale in FL.